20% off on all FANUC repairs for all first time customers. Please fill in all required fields and mark the appropriate check boxes (repair, emergency, or warranty). FANUC servo motor repair services available nationwide. 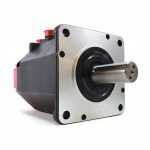 We analyze, repair, run-test and return your FANUC servo motor with a 1 year warranty. We don’t just repair the defective components, we also update, upgrade them due to the high rate of failure to preventing future problems at the same time complying with OEM standard. We have LCD replacements for all Fanuc Control CRT models, and for sure we’re able to fix any FANUC display unit. We repair AC spindle axis and digital servo amps, DC axis and Alpha spindle servo units. 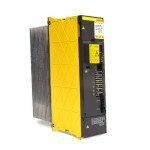 Discover our FANUC Inverter & Power Supply Repair Service. Coming soon. We have thousands of units in stock, and we’ll announce the start of the sales as soon as we will be ready. If you need any specific FANUC part or unit, please contact us: we might have one in stock. All boards are coated to inhibit corrosion. All boards and units are thoroughly cleaned before testing. All boards and units are tested on Lakeside CNC’s FANUC control simulators. Only OEM parts are used on all repairs. Lakeside CNC Group uses over 20 years experience in the FANUC servo and spindle board drives repair business. We provide our customers with the integrity, quality, responsiveness and service that the current business environment demands. Our repair and test procedures either meet or exceed those currently established at FANUC America. No other FANUC repair service center offers the service guarantee of Lakeside CNC Group, Inc. on FANUC parts and repairs. 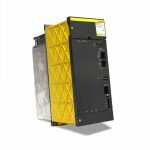 To better serve our customers we also supply re-manufactured units, accessories and all other FANUC parts that may be useful for any specific system. 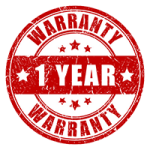 All our repairs come with a standard one year service warranty. If there is a defect in our workmanship, it will be repaired immediately at no extra charge. Lakeside CNC Group, Inc. is committed to provide you with the best repair to our customers. Our qualified professionals have years of industry experience and skills that are unsurpassed in our market. It is important to develop a relationship to our customer to have them satisfy, productively and profitably. Our goal is to save you 30-60% off OEM repair, exchange or purchase list price. Our success comes when our customer are successful, so please do not hesitate to ask us about any FANUC-related issues! Please call (630) 616-0039 or send us an e-mail.